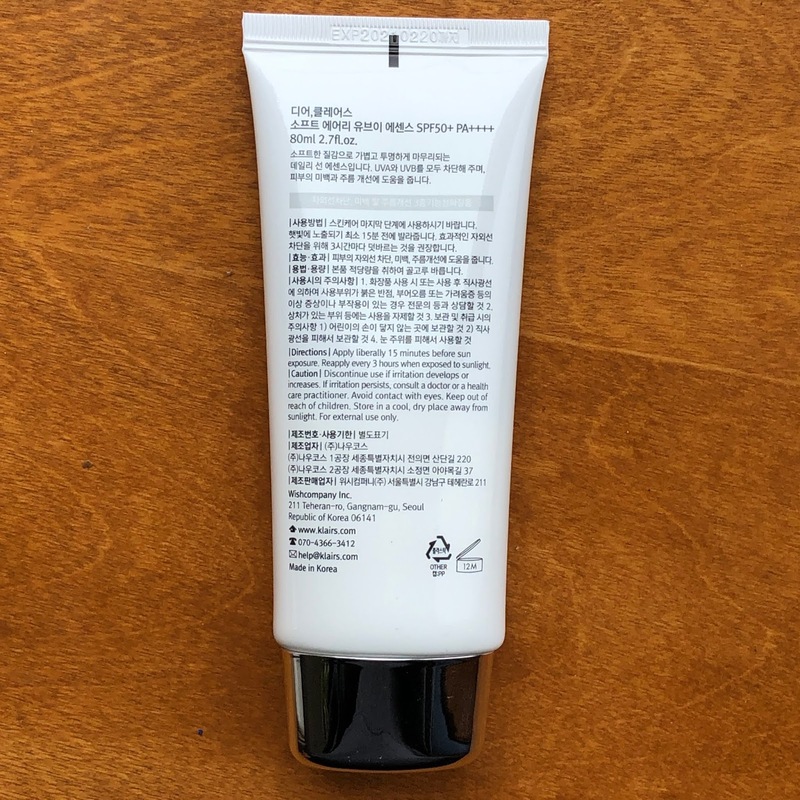 I want to preface this review by mentioning that while I did purchase a tube of this from 0.8L at a discount in exchange for reviewing it on social media - I also purchased a tube full price because it took nearly two months for the review tube to even ship from Wishtrend. I wanted to try this, discount or no. 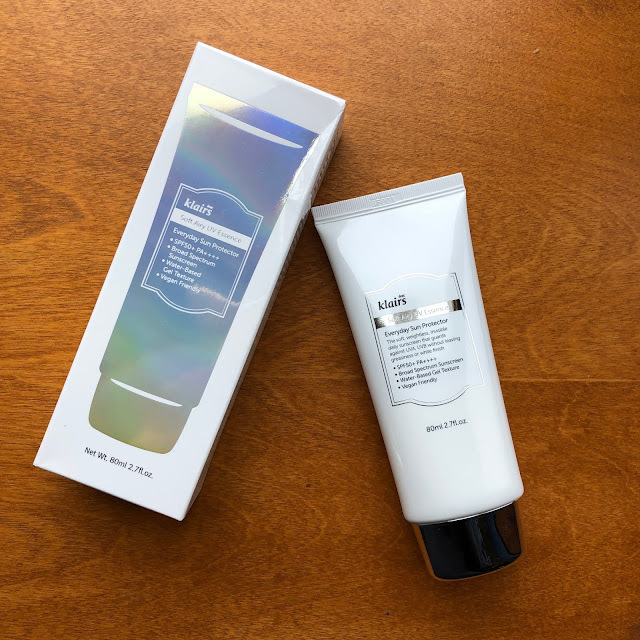 So I actually purchased a tube of this off eBay (also Wishtrend, but magically in stock and quick to ship). But I did want to be up front that there was a second discounted tube as well. Right off the bat I loved the packaging for this sunscreen. Call me a sucker for pretty things, which I totally am, but I loved the shiny foil on the box, and how neat and clean the white looked around the foil and the black print. Not to mention the size - 80g of product vs the much more usually 40-50g in a seemingly tiny tube. This made me so happy! 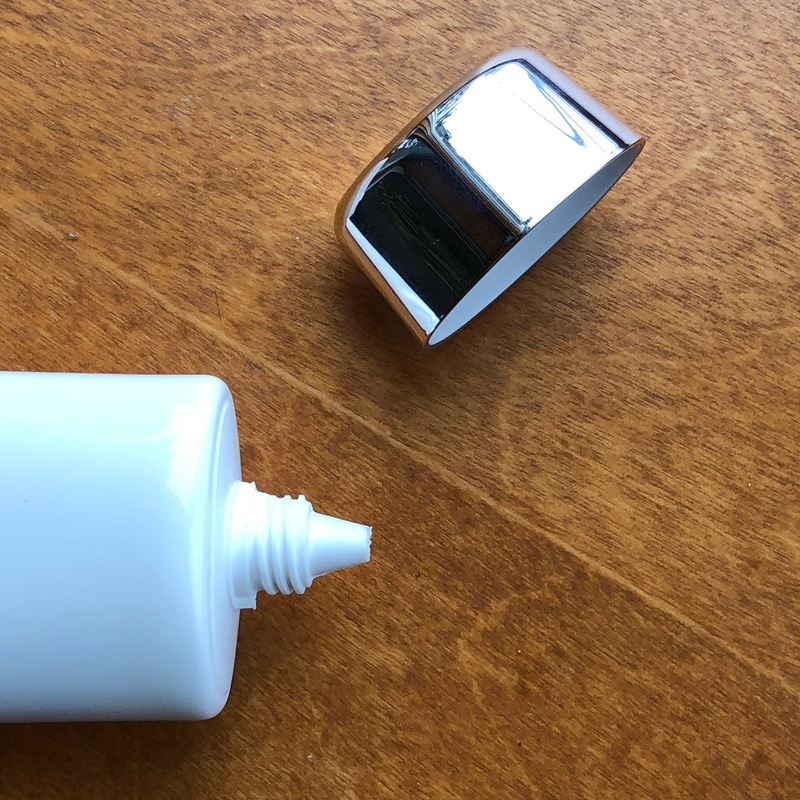 The tube is pretty typical with a twist-off cap and a slim nozzle underneath to dispense the sunscreen from. The tube itself is pretty soft and easy to squeeze. I have no real complaints about the packaging. 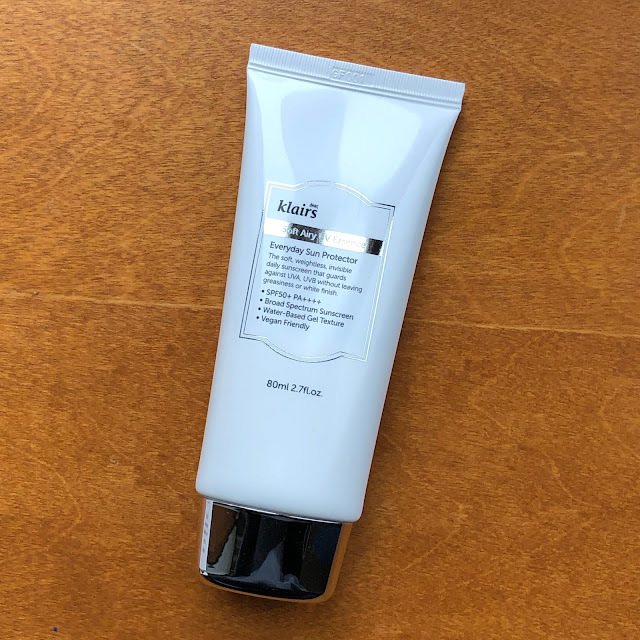 This sunscreen claims to not only protect against UVA and UVB rays, but also even out skintone with Niacinamide, smooth and heal the skin with Adenosine and Adenosine, and hydrate Glycerin and Sodium Hyaluornate. 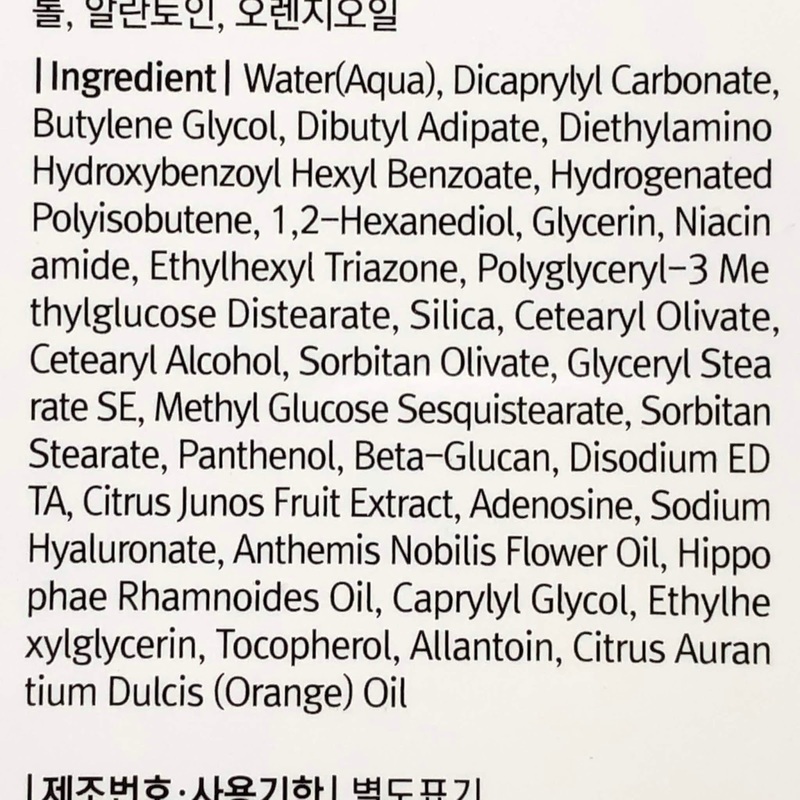 It also contains a handful of oils and extracts that are antibacterial and help with acne inflammation. The sunscreen is off-white in color out of the tube, but leaves no white cast on the skin as it only contains chemical filters - no titanium dioxide or zinc oxide, which honestly is something I usually look for. Chemical sunscreens usually aggravate my skin, but since this one is geared towards sensitive skin I really had to give it a try. 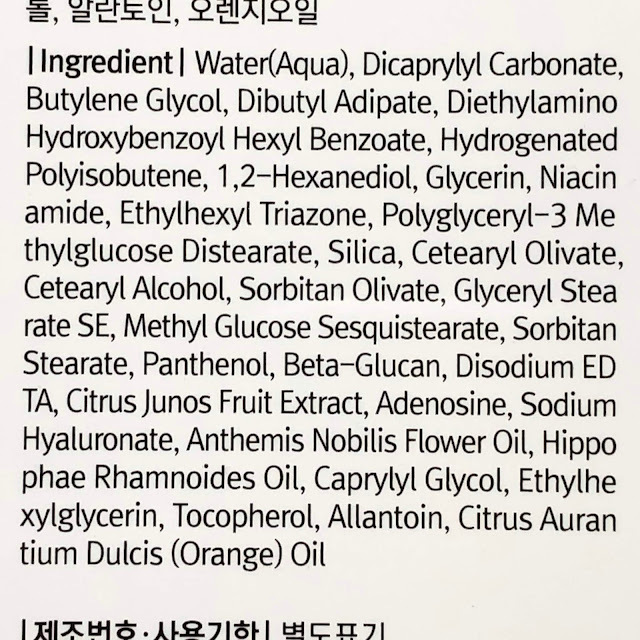 It has a light generic lotion scent, but no added fragrance or overbearing chemical scents either. 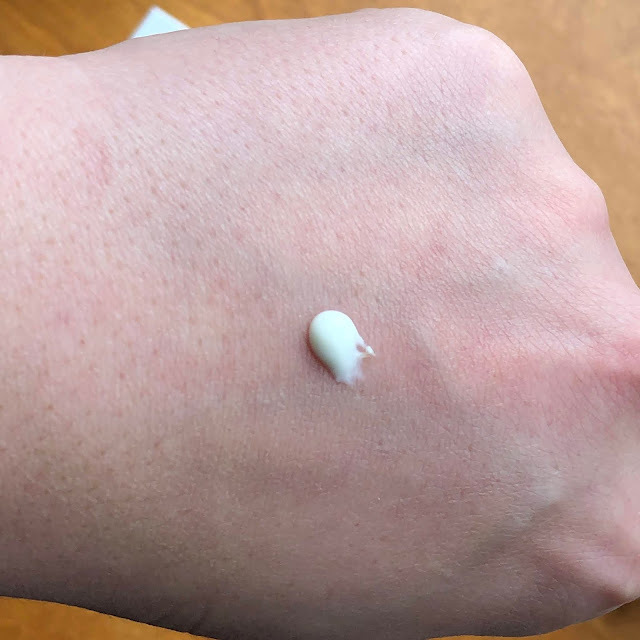 Wishtrend claims this sunscreen has a "gel-type" texture, and it does, but I'd say it's like a gel and lotion cross, being very lightweight. 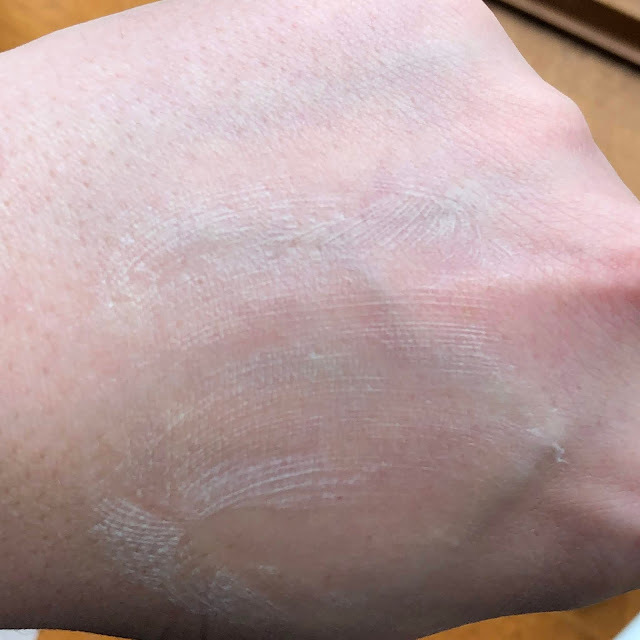 It's slick to the touch, being water based and not silicone, and it absorbs quickly into my combo skin. 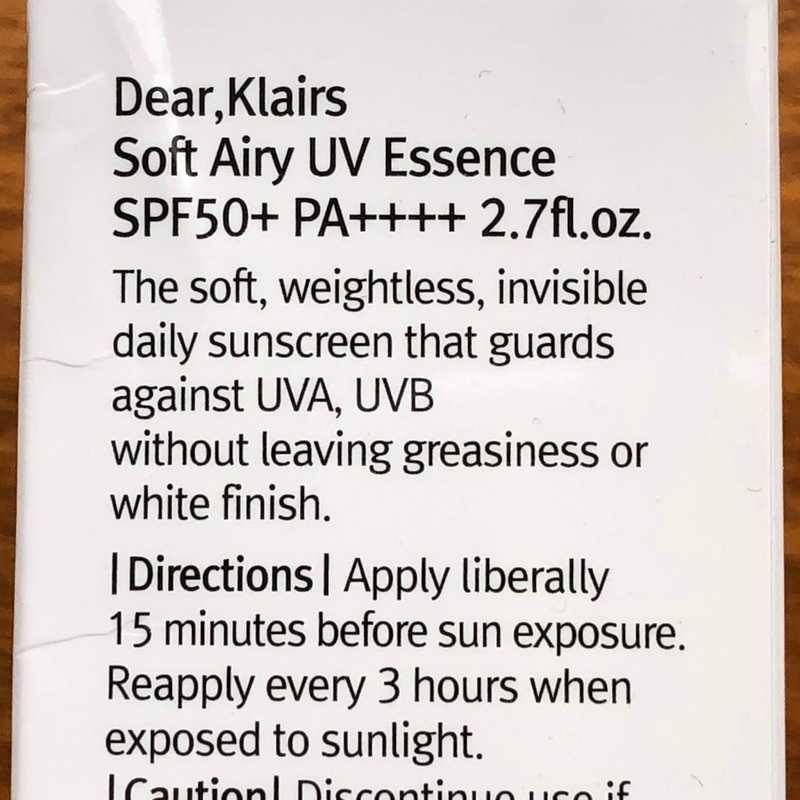 I used this sunscreen for three weeks. Surprisingly (to me) it did not break me out. At times it did make my skin slightly itchy, but I've really been struggling with my mental health lately, and have had stress hives on my arms occationally, so I can't say 100% that the discomfort I occationally experienced on my face with due to the Klairs Soft Airy UV Essence. The formula absorbed easily into my skin and did not make me feel greasy during the day, nor did it dry me out. 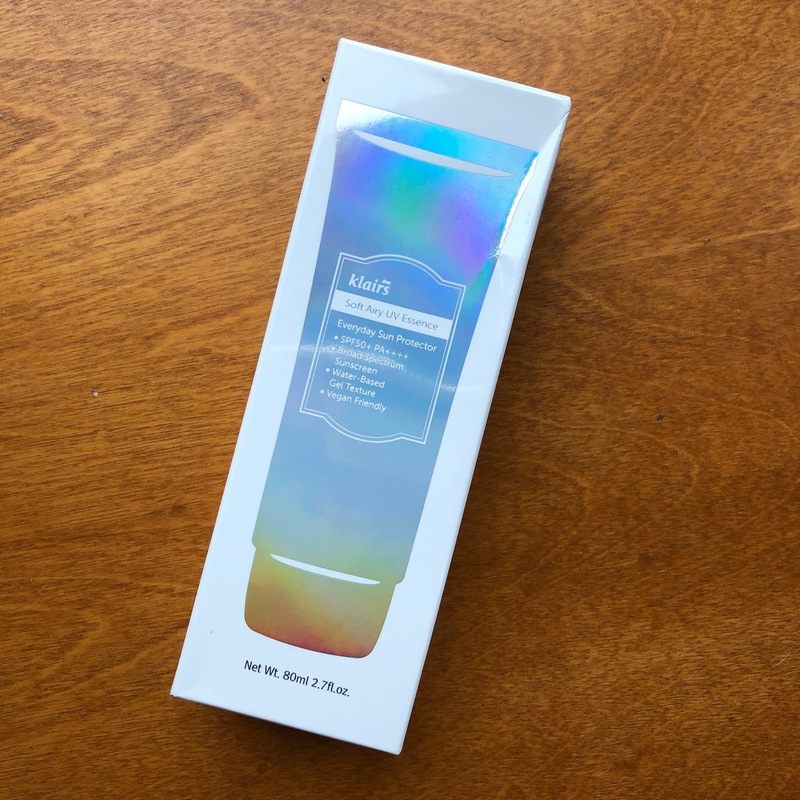 As far as sun protection - considering I do not spend extended periods outdoors, but do have a great amount of windows in my home, I feel this did a great job protecting my skin. 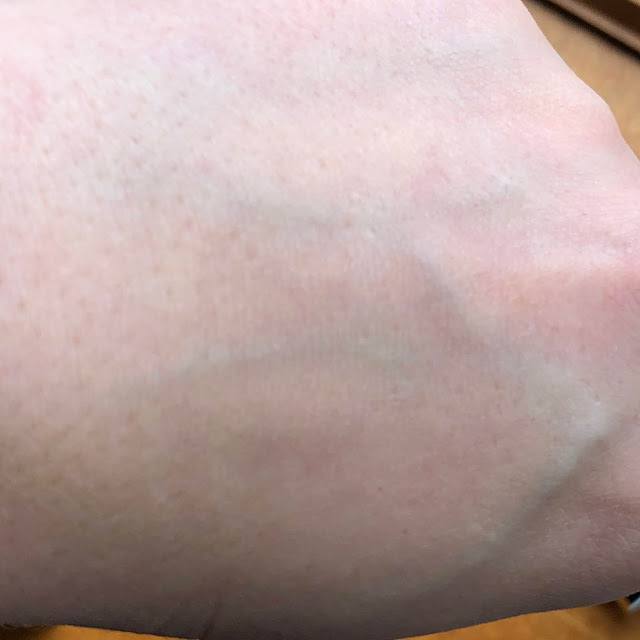 I noticed no increase in sun damage or darkening of my skin. I did not however notice my skin-tone even out more though either. You can try out this sunscreen too! I purchased mine from the seller kr.cfactory on eBay. It is also available for purchase directly on the Wishtrend website.